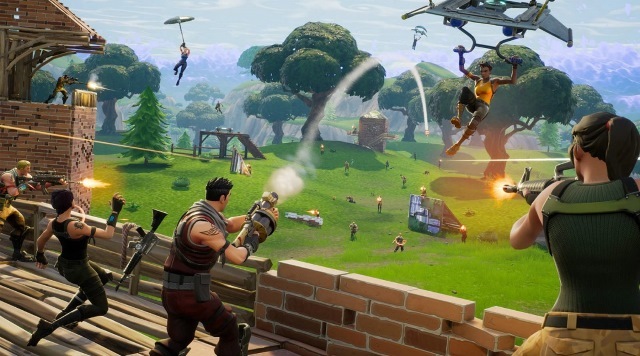 Free-to-play battle royale game Fortnite is steadily climbing in popularity and it recently surpassed rival PlayerUnknown’s Battlegrounds or PUBG as the most watched and streamed game on Twitch. Developer Epic Games is also working on a mobile version of the game, with the iOS beta release already available to closed beta testers. While all might seem well for the game and the company in general, a number of Fortnite players have taken to the game’s official forum to report fraudulent charges levied on their cards. The fraudulent charges were used to purchase V-bucks, Fortnite’s in-game currency, which can be used to buy customizations in game. While a couple of users tried to brush off the claim as ‘buyers remorse’, suggesting that Acebeans made the purchase and then regretted spending so much money on a game; a number of other users have since corroborated his claims and have given examples of similar fraudulent charges on their accounts. As a number of users on the thread have pointed out, there is no easy way to contact Epic Games regarding the fraudulent charges and the emails sent to their support team are usually replied after over 2 weeks. There have been several other such cases and as of now the company hasn’t released any statement regarding the issue. The problem could become widespread because V-bucks can be purchased in most regions where the game is available, including in India. The service accepts PayPal and credit cards for purchases. At the moment we would advise Fortnite players to not purchase in-game currency or other items through their Epic Games account. At least until there’s more clarity on the issue at hand.